Therapeutic Massage is not just a highly beneficial therapy, but also one of the healthiest ways to improve one's quality of life. Manual manipulation of the soft tissues using long, broad strokes and finer detailed massage techniques. Used for pain relief, reducing muscle tension and helps increase flexibility and mobility. Relaxation Massage can help you relax and recover from the stresses of daily life. Relaxation massage uses broad, flowing techniques, with pressure that is tailored to the client's preference. Deep Tissue Massage is often mistaken for "deep pressure". Pressure is the amount of force the therapist is using. Whereas deep tissue is breaking down the different layers, and getting into the deeper tissue underneath. This technique may be best suited to people who are suffering from chronic muscle tension and pain. Slower movements are used to decrease muscular and connective tissue adhesions using various techniques. Trigger Point Release, muscle stripping and cross fibre friction are common techniques. When performing a sports massage our goal is returning you to your desired sports activity with the same or ideally better level of function. Sports massage uses a variety of techniques such as stretching, trigger point therapy, cross fibre techniques and effleurage. Our pregnancy massage share many of the goals of our other massages - to provide relaxation of tense muscles, relieve sore spots, improve circulation and improve over well being. However, they are also tailored to address the specific changes that occur in the mother's body during pregnancy. Heated and cooled Jade Stones are placed on or under the body, as well as used directly for massage. Jade Stone massage combines the benefits of hydrotherapy and thermotherapy. While placing and massaging with heated stones, the therapist can work into the muscle tissue encouraging a greater release of muscle tension and pain, without discomfort to the client. One stroke of a heated stone is equivalent to seven strokes of a hand. Massage provides relief to stiff and sore muscles, resulting in the alleviation of common chronic and acute problems. 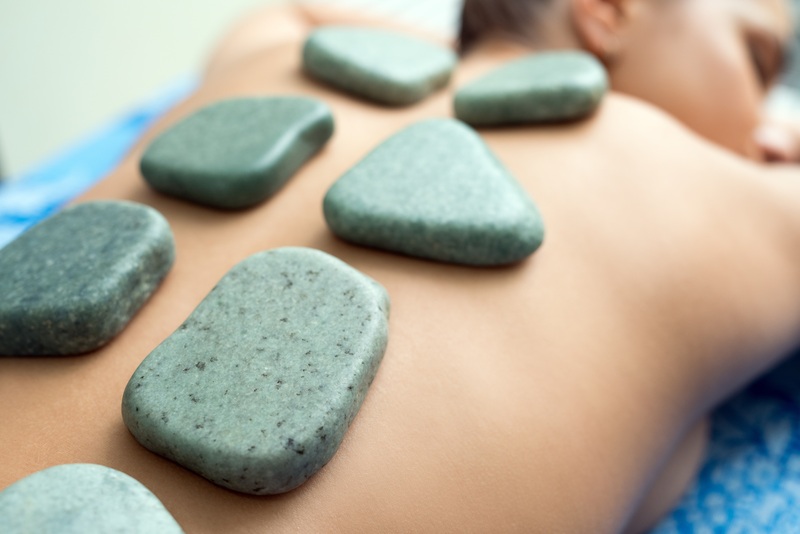 Chilled stones are 80 times more powerful than heated stones and clients can feel the effects for up to 3 days. Reflexology is the application of appropriate pressure to specific points and areas on the feet. Reflexologists believe that these points correspond to different body organs and systems, and that pressing them creates real benefits for the person's health. Cupping is a form of myofascial release. This therapy combines massage and stretching techniques with the use of pressurised cups. Soft tissue is suctioned inside the cups, lifting the fascia and allowing for fluid movement and nutrient supply to the tissues. If you find that you have areas that are not responding to massage, try adding cupping to your sessions. Reiki is a form of alternative medicine called energy healing. Reiki practitioners use a technique called hands-on/ hands-off healing through which a "universal energy" is said to be transferred through the palms of the practitioner to the patient in order to encourage emotional or physical healing. the effects of the massage. This may include stretching, icing or hydrotherapy.